My Heart is breaking into a million tiny pieces. I'm typing this on Sunday night, three children are all freshly bathed/showered and are safely tucked up in their beds. By the time this post goes live, the eldest two will be fast asleep at their Great Grandparents house. The littlest of my trio will be being woken up ready to board the early train to London...for her 5th open heart surgery in 3 years. These photo's are from a couple of weeks ago, kind of cheating because they were actually taken on the 31st October - but we'll let that ride as it's only 1 day off from actually being taken in November. The kids weren't really in the mood for taking photos (when are they ever) but I was not going to give up, I wasn't sure if I'd have another opportunity before we head down to London. I'm so glad I was persistent. I can't begin to imagine where the December photo will be taken if there will even be a photo taken. 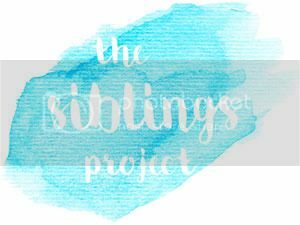 What I do know is that I am so glad that I've kept up with the Siblings Project so far this year, even if "Me and Mine" fell by the wayside a few months in. I am so lucky to be Mammi to these amazing human beings, that's what I want to continue to be...a Mammi to three amazing children who all walk this earth. My eldest child and only son, the one who made me a Mammi in the first place. The one who carries more on his shoulder than any 10 year old should. We're starting to get the odd glimpse of what the teenage years will be like and it's quite amusing; we will definitely have a "Kevin the teenager" living with us sooner than we think. But for all that he's been through, I think it's a fair price for me to pay. My middle child and eldest daughter. The one who possesses the strongest elements of my personality and the strongest elements of her father's personality. The one who's temper can rival my own. But she's also a girl after my own heart with her love of musing, shoes, bags and make-up. She is the one I worry the most for this time because she'll be without her playmate, she'll be sleeping alone in their shared bedroom. My youngest, my little Heart Warrior. The one who's mouth does not have a filter, she'll give it to you exactly how it is. She's the bravest little girl I know and I would do anything in the world to have another three years with her. I hate what we have to put her through, but we would never ever deny the opportunity for treatment - as long as she's left with a quality of life we deem acceptable. Thank you all for your continued support during this incredibly difficult journey.